By now, all of you alrady know that Microsoft launched Internet Explorer 9 (IE9). 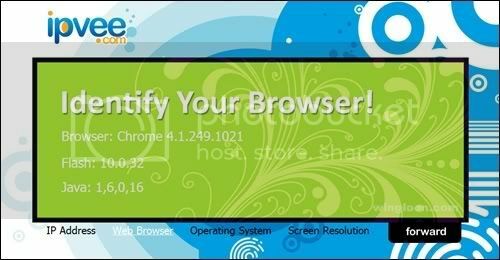 If you are interested to have a spin with IE9, you can download the IE9 beta installer from BeautyOfTheWeb but this is not a complete installer. So, don’t waste your time. Are you new to this Panda Cloud Antivirus? I can tell you that I am new to this Panda Cloud Antivirus. Panda Cloud Antivirus is the first free antivirus from the cloud and it protects you while you browse the web, work or play. Indeed, you won’t able notice it as it is light because all the work is done in the cloud. So, you will have another choice to other free antivirus solutions like Avira, avast!, Microsoft Security Essentials, AVG, Comodo, PC Tools, and ClamAV in the market. The best thing is, Panda Cloud Antivirus is Windows 7 certified for 32 & 64 bits platform. 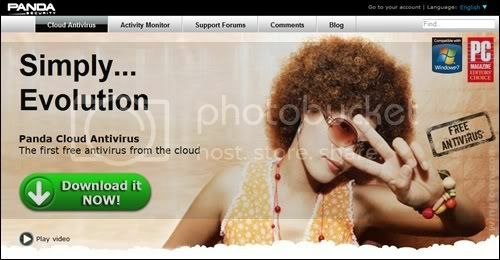 Support is pretty easy and all you need to get an account from Panda Cloud Antivirus support community forum. Well well well. I am going to install this Panda Cloud Antivirus into my dad’s notebook. To all Windows users out there, have you tried Panda Cloud Antivirus or will you try it? Looking forward to your comments on my blog post to this Panda Cloud Antivirus 1.0.1 that offers top detection and protection for free. automatic translation of web pages. To try out the new features above, you may download the Google Chrome 4.1.249.1021 offline installer or you will be updated automatically if you are on the beta channel. Happy surfing with Google Chrome. Are you facing the same like me? Having difficulties previewing RAW images using standard Windows Explorer application. You can say bye bye to this problem by installing this wonderful software, FastPictureViewer WIC RAW Codec Pack. It is a 32-bit and 64-bit RAW image decoder for Windows 7, Windows Vista and Windows XP. The FastPictureViewer WIC RAW Codec Pack supports 21 raw image formats (*.dng, *.cr2, *.crw, *.erf, *.raf, *.3pr, *.fff, *.dcr, *.kdc, *.raw, *.rwl, *.mrw, *.nef, *.nrw, *.orf, *.rw2, *.pef, *.x3f, *.arw, *.sr2, and *.srf) from 14 camera manufacturers, covering more than 300 camera models and currently supports the TGA raster image format. You can easily turn your Windows Explorer into a RAW viewer now. However, please donate if you consider this software is useful because it is release as donationware to support the development of it and it is not freeware. The latest version 1.64 adds support for Canon EOS 1D Mark IV, Canon PowerShot S90, Fuji FinePix S200EXR and Pentax K-x.